A robust wide rib fibre bonded range used on a regular basis by flooring contractors. 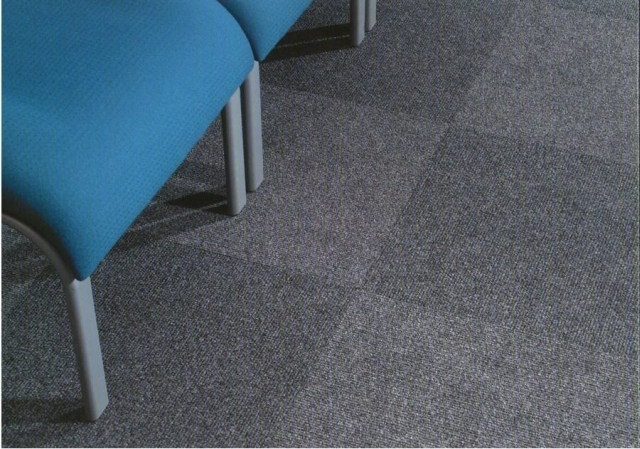 Fibre bonded carpets are simple to install, hard wearing, high performance and easy to maintain making them the ideal flooring choice for heavy traffic areas. Resistant to castor chair wheels. Flammability: Hot Metal Nut BS EN 4790. Assessed to BS EN 5287. Dimensional stability: To BS EN 4682. Castor chair tested to BS EN 985. Underfloor heating: Up to 27°C. Colour/ light fastness: To EN ISO 105, B02 to light. To EN ISO 105, E01 to water. To EN ISO 105, X12 to wet and dry rubbing. The product information below is from the NBS Plus library of product clauses offered in NBS specification products. It has been created by NBS for CFS. Each product clause is authored in NBS format and is intended for inclusion in project specifications. Please note that NBS product guidance is not a replacement for the manufacturer's literature and it is recommended that CFS be consulted before specifying.